When I first smelled this vodka, I was hit with a strong sage smell, but as soon as I tasted it, the Earl Grey tea flavors came through. I personally like Earl Grey tea as it is flavored with Bergamot Orange. The combination of these two aromas is wonderful. I decided to try a simple cocktail first, with just the Windsor vodka and a splash of Orange Bitters. Thinking that the Orange Bitters would accent the Earl Grey flavors of the vodka. I put 1.5oz of vodka in a cocktail shaker, added about 4 good dashes of orange bitter, added ice and shook it. After pouring it into a martini glass I tried it. Yumm, it tasted very good. Next I wanted to make a more fall-like concoction, so I repeated the recipe above, but added a small amount of pure maple syrup. It seems like it was about 1/4 of a teaspoon. Then shook it up with some ice. 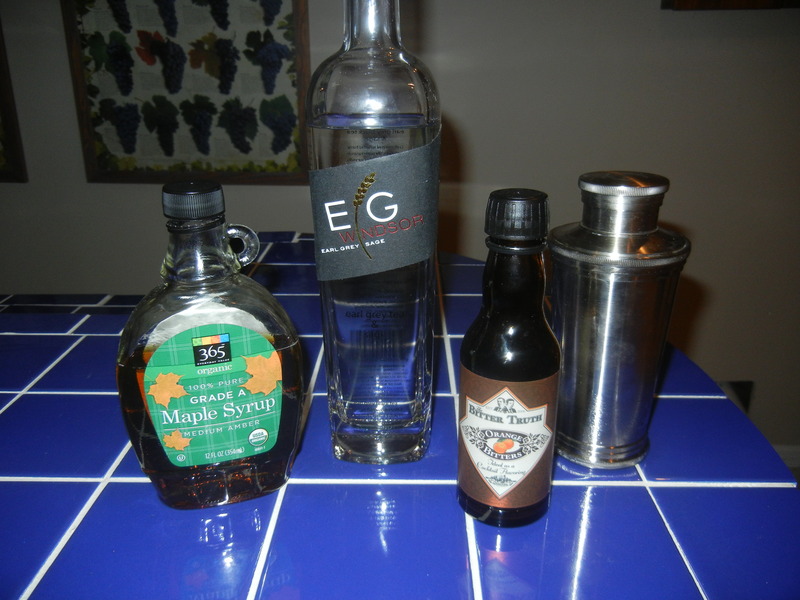 The maple syrup made the drink much smoother, and gave it just a hint of maple flavor. Now for dinner we happened to be having some fall squash, and this cocktail went really well with the squash, surprisingly well. For fun I also tried making a simple vodka tonic using the Windsor Earl Grey and Sage vodka. I also was delicious. The flavors in this vodka are very good, but fairly subtle, so adding it into something like a vodka tonic will let it shine, but if you add it to a bloody mary, it will probably be lost. 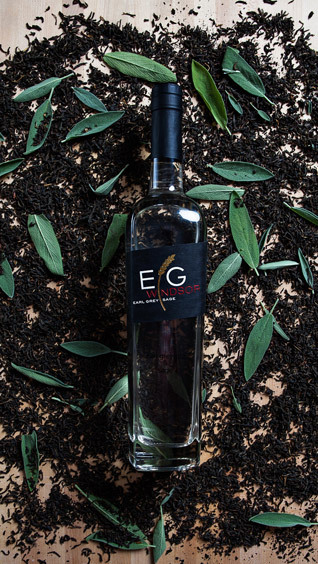 If you can find the EG Windsor Earl Grey and Sage vodka, I highly recommend it. If you come up with fun recipes using it, share them in a comment. Cheers!